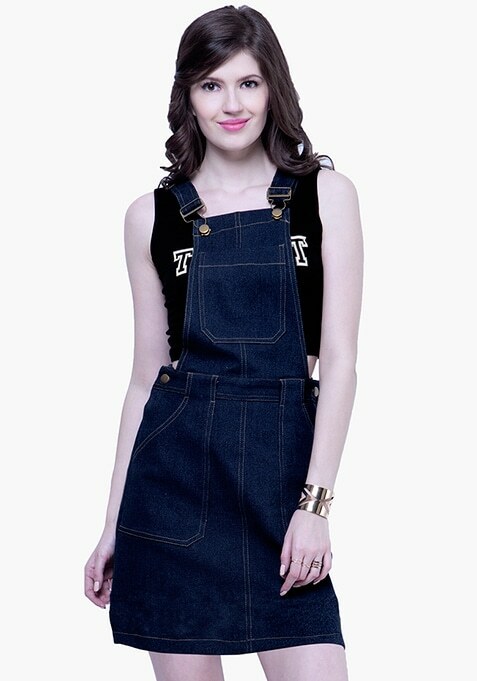 This denim pinafore is the perfect pick for a fun weekend outing with your homies. It features a skirt plus suspender style. Relaxed fit. Work It - Looks kickass with sneakers and a messy top-knot.